Docents are valued members of our volunteer team. They are skilled educators who share a passion for art and for engaging students and adults in interactive experiences at the museum. The Nelson-Atkins Museum of Art seeks to build and maintain a volunteer corps that reflects the rich diversity of our community. If you are interested in becoming a docent, please contact us at volunteer@nelson-atkins.org for more information. What do I need to know about the docent program? No prior art history knowledge is required. Docents make a minimum 5-year commitment. The two-year initial training program takes place on Monday mornings: 4 hours in class plus 10-15 hours of homework each week. No class is held during the summer. 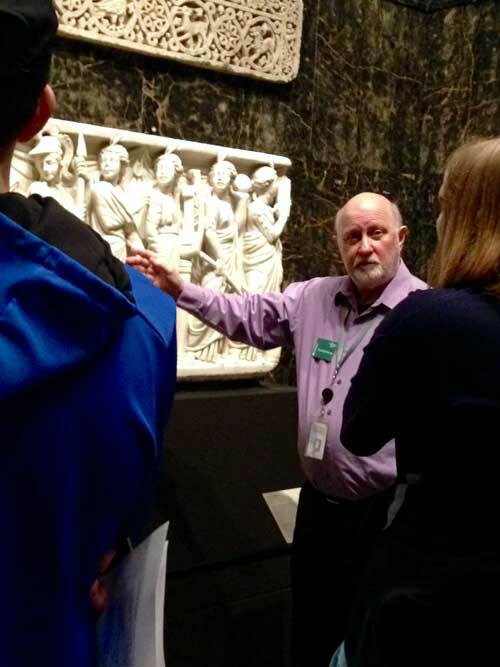 DITs (Docents-in-Training) learn touring strategies and the history of art in the context of tours. Training is hands-on and interactive. DITs participate in conversations, give presentations, and practice tours in front of peers. Docents work with the following audiences: 75% children, 25% adults. Docents give tours of the museum’s collection and featured exhibitions. Most tours are on weekdays, with occasional evening and weekend hours. Docents are required to give a minimum of 24 tours a year within a flexible schedule and are asked to participate in ongoing continuing education. Docent evaluation plays a key role in maintaining high standards. Docents must be able to navigate through a large, multi-floored museum complex for up to 90 minutes without a break. Docents are required to have an active email account and regular access to a computer for scheduling and accessing resources. Individuals must be 21 years of age to apply. A background check is required for all volunteers. Entrance to the program is competitive and involves an application and interview process. What qualities are we looking for in a docent? Willing to embrace an educational model that is audience-centered. Docents do not lecture. 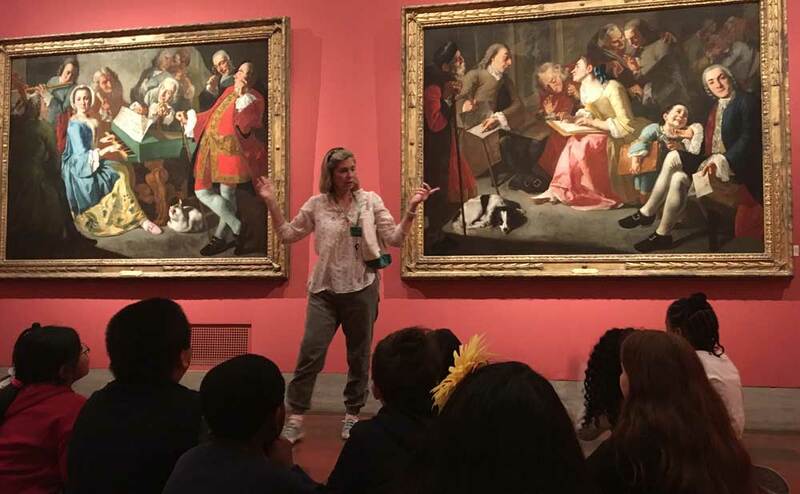 What are the rewards of becoming a docent? Connect with the museum on a deeper level while sharing your enthusiasm for education and art. Enjoy personal growth as you learn new skills and knowledge. Make new friends amongst fellow volunteers and staff. Inspire love of learning, cultural understanding in visitors of all ages.